This is one airport upgrade you cannot afford to miss! 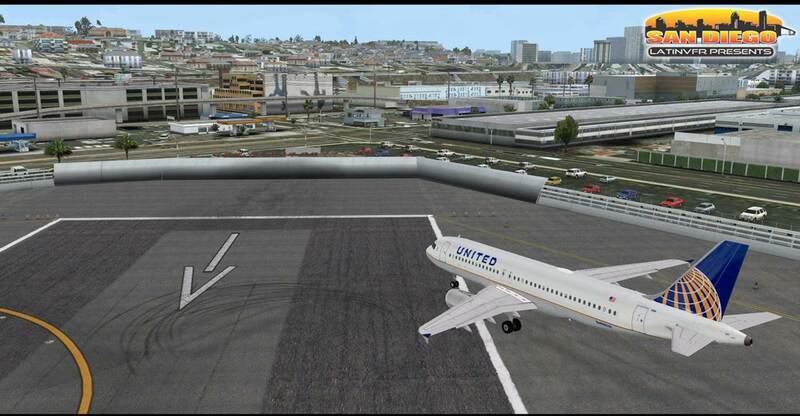 LatinVFR offers San Diego International, one of the most widely used airports in the world by flight simmers, and for good reason. 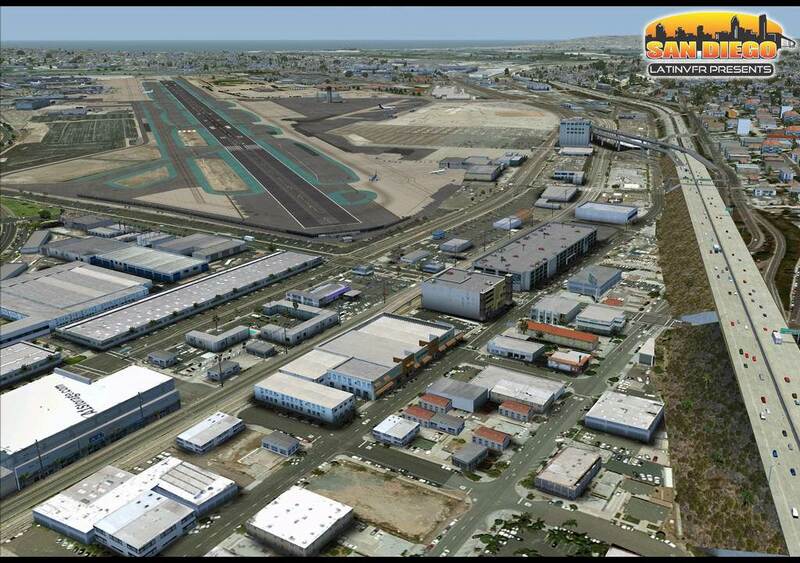 The area around KSAN is a flyer's delight, and this new airport expansion will dramatically improve upon the default airport scenery and bring your flight experience to life. Better still, you can download it immediately after purchase, ensuring virtually no extended delays for your next virtual flight! 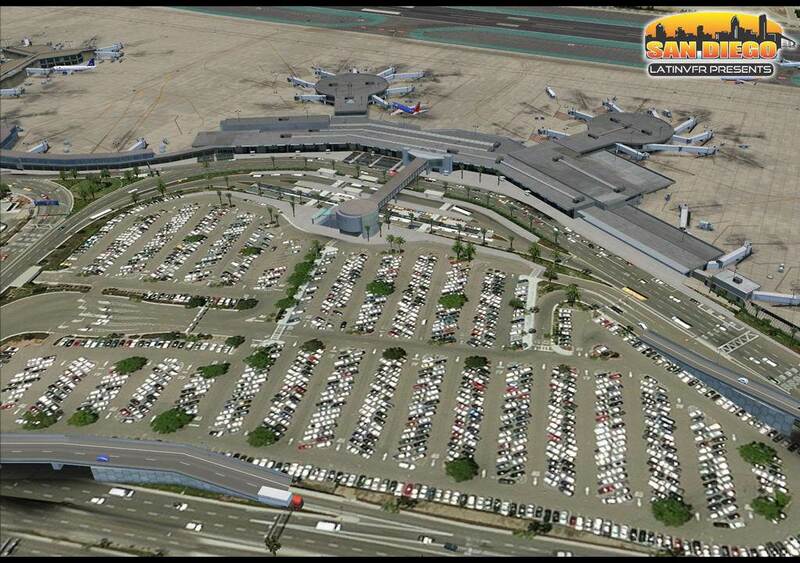 San Diego Lindbergh International airport (KSAN) is the 3rd busiest in California and the busiest single runway airport in the United States, handling more than 17 million passengers a year. With compatibility for 3 flight sims, FSX, FS2004 and Prepar3D, you get 3 times the bang for your buck! KSAN(SAN) airport completely modeled with significant attention to detail. Texturing in HD mapping for all buildings and ground polygons. Surroundings extremely detailed, HD within 1 mile diameter of the airport, area around approach to runway 27 fully detailed. More than 28 square miles of photo scenery with hand placed autogen. Some north downtown and balboa park buildings for reference approach runway 27, compatible with other scenery products. Coast Guard base section with static dauphin helicopters. Static GIV aircraft at the FBO. Be sure to watch this striking demo video. 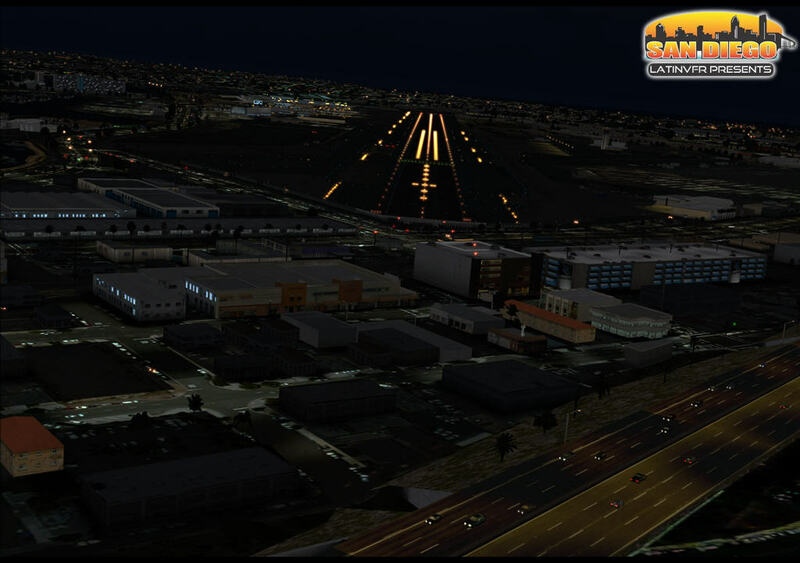 LatinVFR's KSAN Airport will also work quite well with MegaScenery 2.0 California photoreal scenery packs. Consider buying both together!